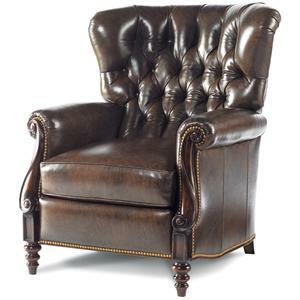 This traditional push back recliner with tapered feet features elegant style with its rolled arms, flaired back sides, and split back cushion. The recliner's comfortable seating is perfect for any living area in your home and the sophisticated style makes it great for a living room, home office, master bedroom, den, or great room, wherever you relax as you watch TV, work on a laptop, or recline as you chat with family and friends you will enjoy relaxing with this fantastic recliner. You will appreciate its made in the USA, quality craftsmanship for years of use. 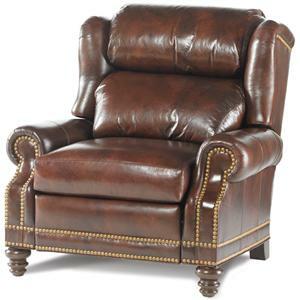 Customize your recliner with choices depending on each item of premium fabrics and leather, grade of cushioning, selection of nailhead trim styles as well as finish for exposed wood feet. 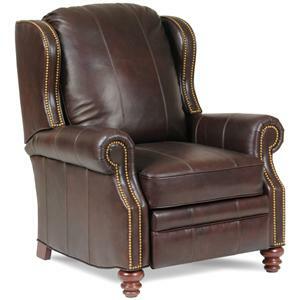 The Recliners Traditional Push Back Recliner with Tapered Feet by MotionCraft by Sherrill at Stuckey Furniture in the Mt. Pleasant and Stuckey, South Carolina area. Product availability may vary. Contact us for the most current availability on this product. Fabric Options Available in fabric, leather, or fabric and leather combinations. Recliner Mechanism Enjoy the ease and comfort of our three way recliner mechanism. Just a simple push on the arm takes you to the “TV position”. Another soft push and you’re in “full recline” for the ultimate in relaxation. Or, enjoy the simplicity of our motorized mechanism where available. 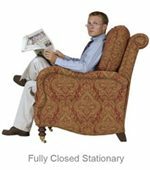 A gentle pull or push on the inside lever and you can open or close the chair in any position. Padding & Ergonomics The standard cushion is our Spring Fortrel Cushion. This cushion consists of individually-wrapped coil springs encased in a foam envelope and fiber wrap. This cushion offers maximum durability and resiliency. 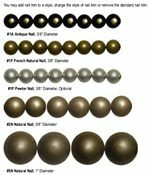 Our UD Urethane cushions are also available for special order. Warranty 1 Year Warranty on Frames. 4 Year Limited Warranty on Reclining Mechanism. 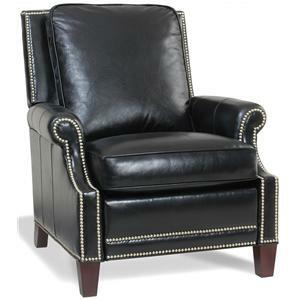 Take your pick of any of these high leg push back recliners in various tasteful styles. 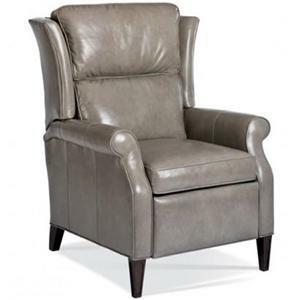 Any of these high quality recliners will be a great addition to your home's living and entertaining areas. These recliners are designed to offer luxurious comfort for relaxing and gracious entertaining without looking like motion seating. 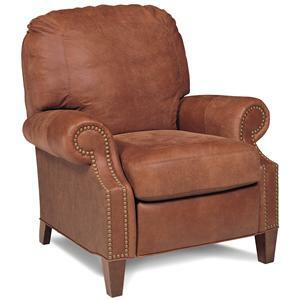 Customize the final look of your recliner with your choice of upholstery in fabric or leather, grade of cushioning, style of nailhead trim, and wood finish color. 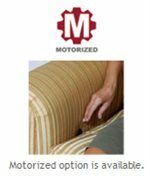 Whatever your choice, you can be rest assured in the quality of your new furniture since MotionCraft products are MADE IN THE USA by craftsmen in North Carolina to the highest standards. 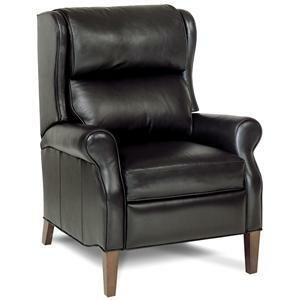 The Recliners collection is a great option if you are looking for Contemporary furniture in the Mt. Pleasant and Stuckey, South Carolina area. 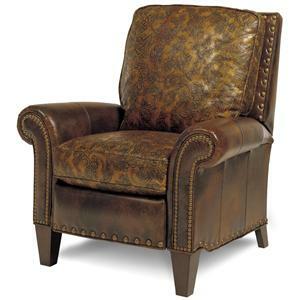 Browse other items in the Recliners collection from Stuckey Furniture in the Mt. Pleasant and Stuckey, South Carolina area.